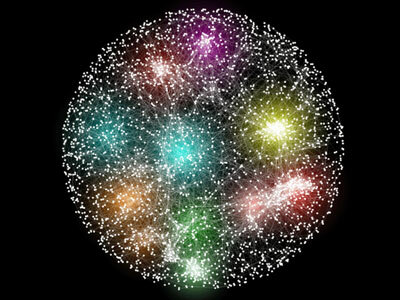 This visualization depicts the genetic interaction network of the yeast Saccharoymces cerevisiae. Here, each node represents a gene, which are connected to each other if they have similar patterns of genetic interactions, which signals that the genes are functionally related. The network here self-assembles such that genes are positioned relative to each other based on their functional similarity. 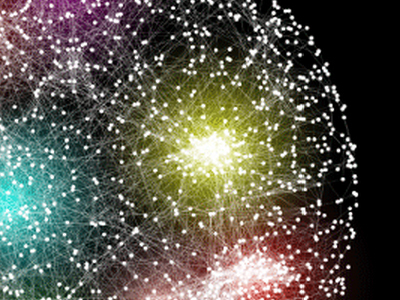 The visualization therefore encompasses a functional 'map' of cell behavior.